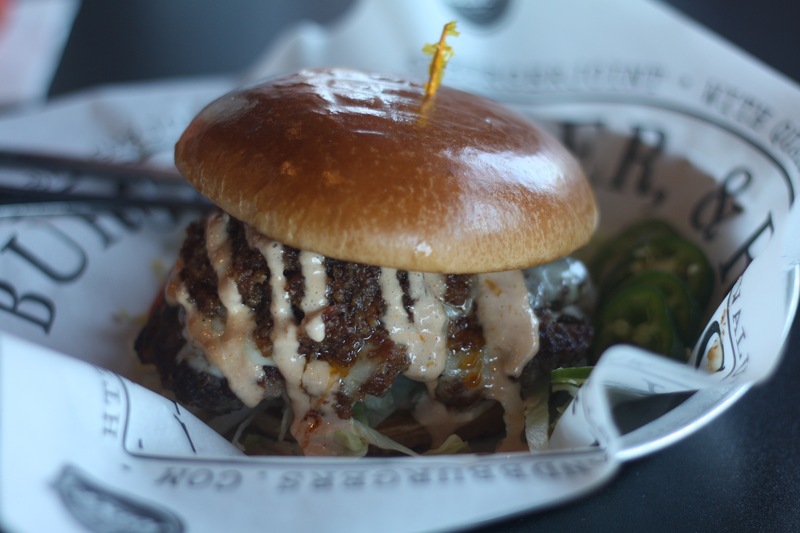 Every month they create a new signature burger and side and raise money for a local charity. For every monthly special burger they sell in August, $1 goes to Brothers of Stomp at Star Spencer High School. The step program provides support and teamwork for students and has led to a 95% graduation rate for members. S&B's founder Shannon Roper said he loves helping small charities like Brothers of Stomp. Luckily for he and the group, August's burger of the month is primed to sell. Sir Bac-a-Lot ($10) is a half-pound beef and bacon burger rolled in ranch seasoning and grilled to juicy perfection, then covered in cheddar and Grand Cru cheese and a big pile of bacon jam. It's sweet and savory and gets everywhere. Do yourself a favor, though — ask for jalapeños. The fresh crunch of the pepper and the burst of heat balances well with the sweetness. Rip off several paper towels, too, because this is a burger that's meant to be messy. Oh, hey, the side this month are some fried potato wedges ($7) that are the love child of a baked potato and french fries — crisp outside with a filling of airy, buttery mashed potatoes. 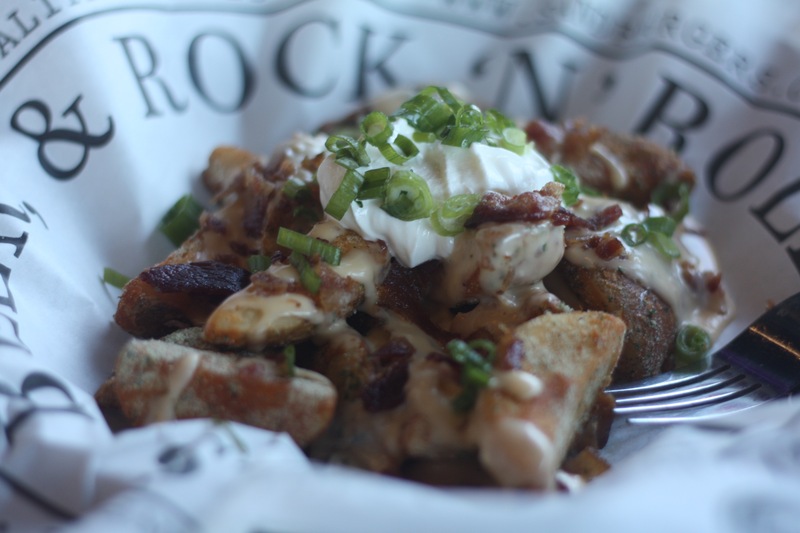 Like the burger, the potato wedges are tossed in ranch seasoning and topped with cheese sauce, bacon, sour cream and onions. Roper had another something waiting in the kitchen. 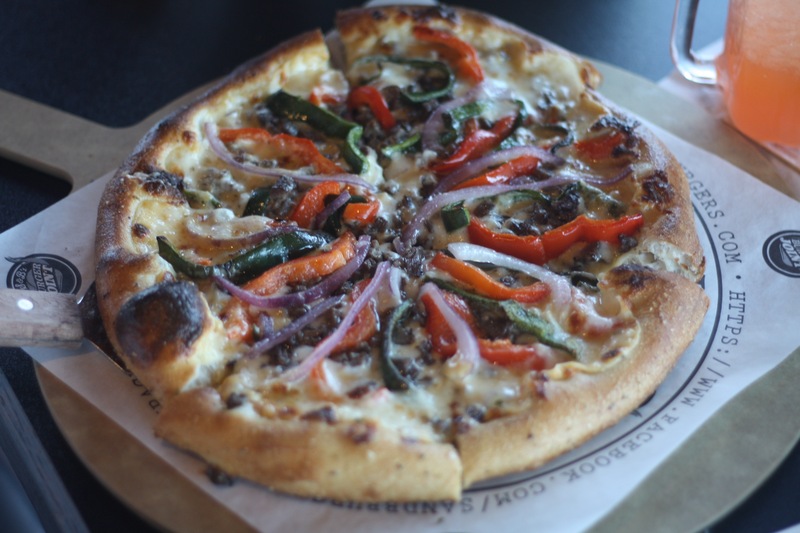 Currently only available at the 7640 NW Expressway, S&B's is now serving pizza. "We're trying to get rid of the 'no' vote," he said. If customers can't decide between burgers, pizzas or tacos, they can all agree on S&B's. 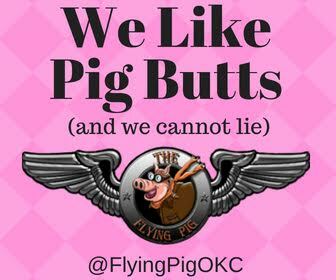 As with all menu items, there are plenty of musical puns — The Supremes, Meatallica, The Yardbird, The Daytripper, Cheech & Chong, Pepp In Your Step, Sound Garden, Get Figgy Wit It, Spinach Artichoke Zip, Papa Shannon's Pie, Hawaiian Fire, The Jam Band, Beeftie Boy and Daddy Mac. Let's get this out of the way now: It's good pizza. The crust is wonderful, thanks to a 30-year-old oven Roper bought. The dough has a gorgeous carbon char on the bottom and a lovely chew. I tried the Meatallica ($8.50 slider/$14.95 full-size), because of course I did. Just as you might imagine, it has a lot of meat on it. Hamburger, sausage, pepperoni, ham, chicken and bacon. If I'm being honest, the chicken is kind of wasted here, but I respect the choice to include it. Don't leave chicken out just because it's not as flavorful as pepperoni or the (excellent) sausage. 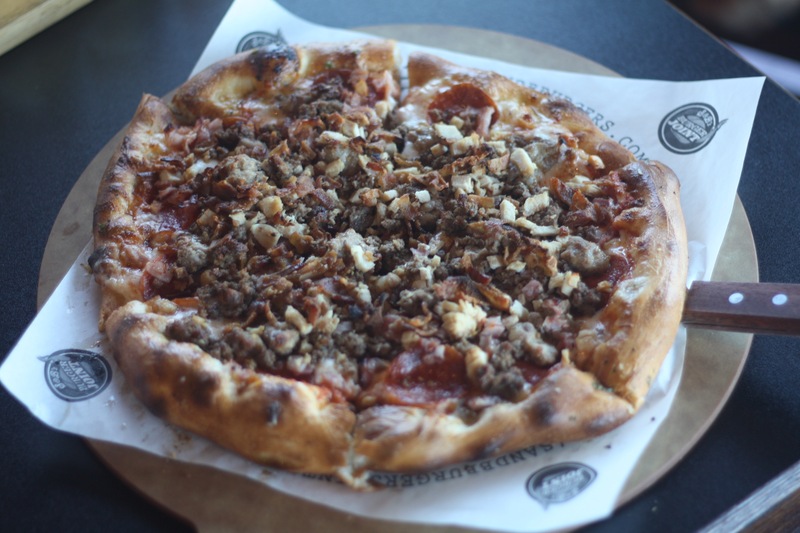 Meatallica is a best-seller, but I recommend you stray farther down the menu and try a few of the more adventurous pies. The Beeftie Boy ($8.50 slider/$14.95 full-size) is like a Philly cheesesteak on a freshly baked open-faced roll. Pizza sliders? Yes. Much like S&B's sliders make it easy to try several different flavors, the pizza sliders are smaller than full-size and let you and your friends try a few combinations. If you have friends. I don't. I just ate a bunch of pizzas alone. So I kind of win in this situation.